I just finished the report for a restaurant mystery shop. This report is so easy. Ridiculously easy. No commentary (written answers to questions)--only multiple choice questions. Takes less than 5 minutes. And the in-store portion is super easy, too. Every time I do this particular shop, I tell myself I should really do it more often. The reason I don't do it more often, though, is that this particular shop doesn't pay a fee. It's reimbursement only. Which means I always wait until this shop gets bonused, which doesn't always happen. And when this shop is bonused, other people often snap it up before I get a chance. This is kind of funny. And sad. Because I am losing my mind. And a mind is a terrible thing to lose. I follow a YouTube channel that puts a video out every Thursday at 8 p.m. I know this because when I let the girls out, it's at 8 p.m., and I sometimes watch YouTube videos as I'm watching them. And on Thursdays, this is the video I watch. So I was hanging out with the chickens, and thought to myself, I'll watch that video. Only, it never came. I kept checking back, but nothing. I was disappointed. I wondered if some emergency had befallen the family. The chickens went back into their coop, I secured them, and went to bed. And then I woke up. Yesterday. Thursday. Yup. I was waiting for my Thursday video on Wednesday. The struggle is real, y'all. Our library system recently changed the way they fill holds. It used to be that when I requested an item, my name would go on a list of everybody who had requested that item from our library system. Every copy of that same item owned by any of the 49 libraries in the system would be put in a (virtual) pile , and as they became available, items would be sent to where ever the next-in-line requester wanted them, in the order in which they requested the item. First come, first served, from the pool of all the libraries. Now, when I request an item, my name is put on two lists: the first is the list of people who requested the item to be picked up at my library. The second is the list of all of the people who requested the item to be picked up at any member library. My hold will be filled with a copy from my library. They just go down the list of people who requested the item from my library, and give it to each of us, in order. If copies of the item that are owned by other libraries in the system become available before the copy from my library is available (because fewer people requested the item from that library), my hold will be filled, on a first come first serve basis, with a copy from another library. They'll go down the second list, and send it off in order of request. This means that, even though I requested the item 6 months ago, someone who requested it a week ago might get a copy before me. I understand why they would want to do this. I'm sure it cuts down tremendously on library materials needing to be couriered around from library to library. It's also probably pretty frustrating to the librarians to have to send their copy of whatever it is all over the place, while their local patrons have to wait. And I really don't mind. It's fine with me if they want to fill holds that way. What does bother me, though, is that I can't tell where I am in the queue anymore. I used to be able to go to the website and see that I was next in line, or 10th in line, or 363rd in line. And I could use that information to decide if I wanted to suspend a hold, like if we were going to be out of town or particularly busy when the item became available. I could plan ahead. If it looked like I was going to be getting a DVD on Thursday, I could tell the fam that we were going to be having a family movie night on Saturday. I can't do that anymore. It's always a surprise. Which is ok, I mean, who doesn't love surprises? But also, I would like to know. Because I don't actually like surprises all that much. I hope they're working on it. My oldest is heading off to college in the fall, and I'm a part of a few parent Facebook groups associated with the university. It's been really interesting seeing the kinds of questions parents are asking, and the kinds of answers they're getting. It's definitely highlighting to me how everybody parents differently. One thing in particular that has struck me is the parents who are packing for their children. I don't even pack for my children when we go on short trips, and it makes absolutely no sense to me to pack for AKD to go to school. How do I know what he wants up at school? I mean, I'm giving him suggestions, because I've been there, but ultimately, he is an adult (in a few more days), and he will figure out what he wants and needs. I'm not judging--I'm sure they're doing what's best for their family--but it just highlights how different every family is. And then there are the questions that parents ask on behalf of their children. For instance, does anyone know when RAs can move in? Girlfriend, if your child is an RA, it's kind of their job to know when they're supposed to move in. Or if they don't know, they should sure as heck know how to find out. The other questions that kind of amuse me are the questions that can be easily answered by looking on the school's website. I understand. Sometimes it's easier to ask someone rather than figure out the answer yourself. And believe me, I would be asking those questions, too, if I wasn't so confident in my son's ability to figure things out. But I have to laugh because inevitably, one of the other parents in the group will respond with a link to the page on the school's website that addresses the question. Not in a snarky way, but kind of. Like, stop wasting my time, and look it up for yourself. Except they didn't have to answer--they could have just scrolled on by. So funny. This egg situation, man. It's driving me to crazy town. 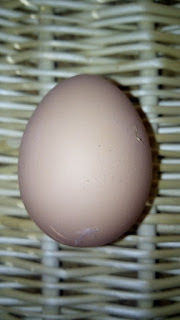 Yesterday, I went out to the coop in the morning and got two eggs: one from Rocky, one from Indigo. Around lunch time, I went out again and got another two eggs: one from Toasty, one from Rocky. Except. 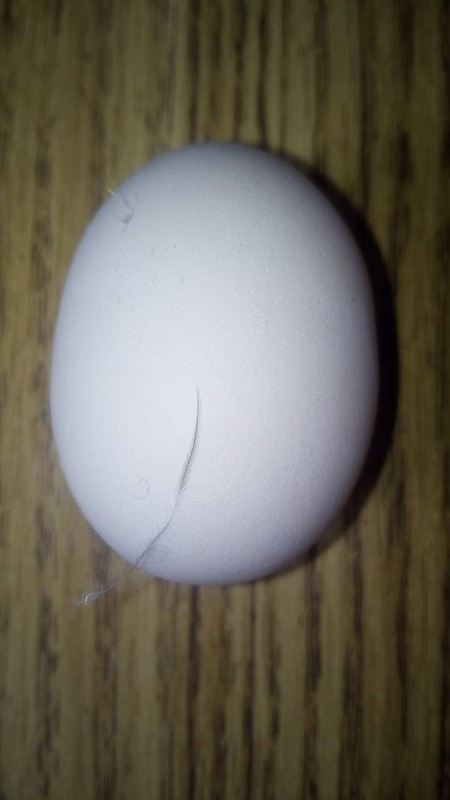 Rocky can't lay two eggs in four hours. So who *actually* laid those eggs? It's mind bending. You might wonder why it matters, why I bother to keep track. Well, first, I just want to know. It's kind of fun knowing whose egg I'm eating. The other day I made cookies with two Hazel eggs. This morning I had an Esther egg omelet. And second, egg-laying is an indicator of hen-health. 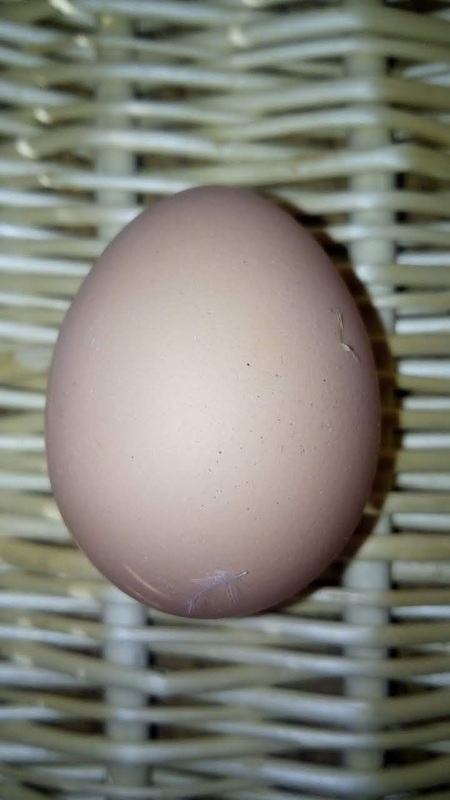 If a hen is laying eggs regularly, she's in fairly good health. If she stops, there might be something wrong. In this case, all of the eggs are shades of brown, so I know Esther didn't lay any of them. And Koko's not laying yet (or is she? ), so I know she didn't lay any of them. Which means all four of the others each laid one of these eggs. I don't really need to know who laid each egg, just that those four produced eggs yesterday. In this case, examining the eggs side-by-side, it must have been Toasty, Indigo, Hazel, Rocky, but it doesn't really matter. I still want to know, though. I know, because I caught them in the act.